Vescent Photonics is a technology driven organization. The company is privately held by the original founders, all of which are scientists and engineers. As such, our primary motivation is to develop technologies and products that help our customers solve their scientific and engineering challenges. Technology development and innovation is what we do. Building on the laser performance requirements learned through years of operating in atomic, molecular, and optical (AMO) physics we have developed new short-cavity, narrow-linewidth, cw laser products. 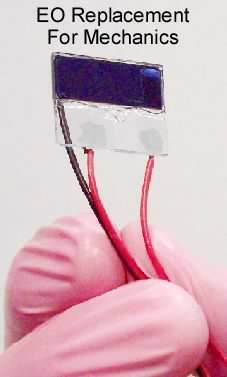 These include directly integrating the wavelength selective grating onto the semiconductor chip such as with distributed feedback (DFB) and distributed Bragg reflector (DBR) lasers, or by building very short-cavity external cavity diode lasers (ECDLs) that are constructed on a monolithic substrate. The short-cavity provides substantial performance advantages such as an enhanced immunity to vibration and a large free-spectral range. This later point enables very fast (μsecond) injection current tuning over a large range (many GHz) without mode-hops. Such high-speed frequency agility enables robust locking, frequency jumping, and frequency sweeping. Read more about the advantages of our short-cavity laser designs. “It all comes back to the electronics.” The best designed diode lasers and/or electro-optic (EO) modules are for naught without equally good control & drive electronics. This basic laboratory reality inspired our D2-series electronics product line. 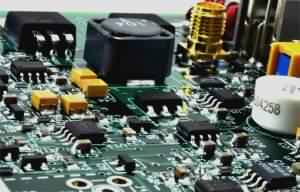 Building from our experience at JILA and NIST, we provide the most flexible and lowest noise laser electronics on the market. These can be used to stabilize and lock lasers to a variety of references including: optical cavities, atomic transitions, other lasers, etc. Read more about our control electronics or view the electronics products page. ICE is a compact suite of digitally controlled analog electronics that will precisely drive and stabilize a broad range of semiconductor lasers and an associated array of photonics tools. It will simplify your design and reduce SWaP while still providing the same high performance we offer in our D2 modular units. The user can select their desired functionality for a compact, dedicated laser control system which will control up to four locked lasers. ICE can drive, frequency and temperature stabilize, and offset lock DBR or DFB lasers and will soon work with External Cavity lasers. Read more about compact computer-controlled analog laser-control electronics. The most electro-optic material ever invented is also the most commercially successful photonic material ever invented. 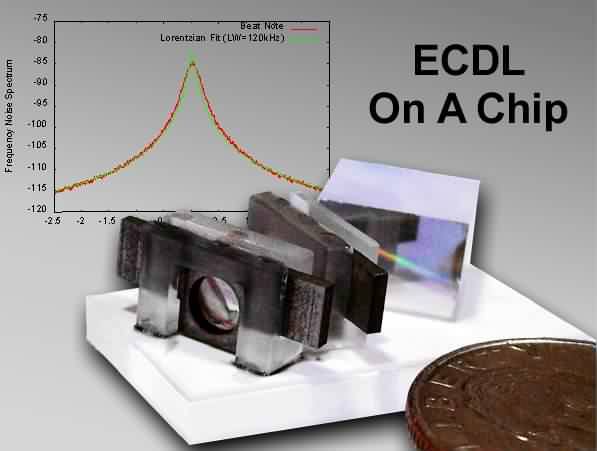 The ubiquitous liquid crystal (most people have numerous LC-displays on or near themselves) is >10,000 times more electro-optic than its closest competitor (R33 values for LCs >106 pm/Volt are typical). LCs are also the key enabler for the more than $100 Billion dollar LC-display market. At Vescent we have been pioneering a new LC-waveguide photonic architecture to apply this phenomenal material to non-display applications. The architecture utilizes a liquid-crystal overlayer on a single-mode waveguide to enable tuning of the mode index of the guided wave via an electro-evanescent effect. This architecture not only circumvents limitations of traditional LC-optics, but it also surpasses the optical phase control performance capabilities of any other EO, thermo-optic, or MEMs optical system that we are aware of. We can build devices that provide greater than 2 mm of voltage control over optical phase. This is equivalent to moving a mirror two millimeters, but in this case only a voltage was tuned. Such “giant control” over optical phase enables a new class of photonic devices.To date we have demonstrated: ultra-wide field of view non-mechanical laser beamsteerers (over 270o of EO scan angle has been demonstrated along with a 40o×10o 2-D EO scanner), FTIR spectrometers on a chip for planetary exploration, widely tunable lasers (> 40 nm demonstrated), and ultra-low power (< 5 mWatts) tunable filters and switches. Read more about our LC-waveguide technology.